This is one of those recipes that is a crowd pleaser. Most everyone likes chips and salsa. This recipe takes salso a new level of texture and taste and always proves to be a favorite recipe to take to social events. Prepare all ingredients and mix together in a serving bowl. 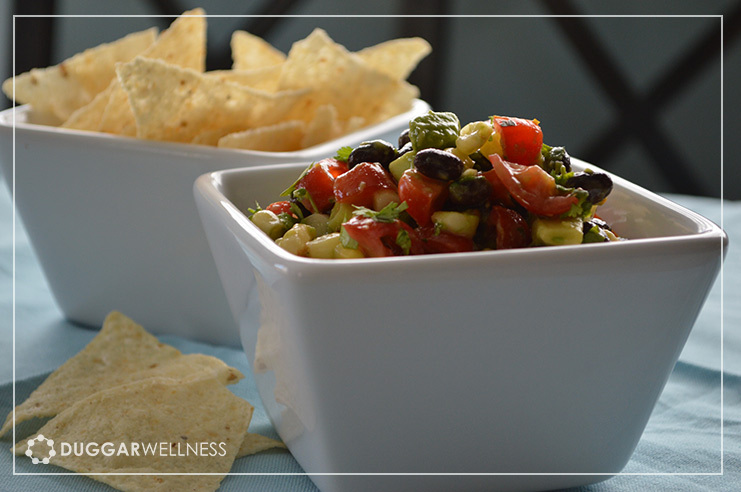 Serve with your favorite tortilla chips* or toss into a salad. *Our favorite grain free tortilla chips are Siete brand chips. You can purchase them online and they can also be found at most health food stores including Whole Foods and Natural Grocers.